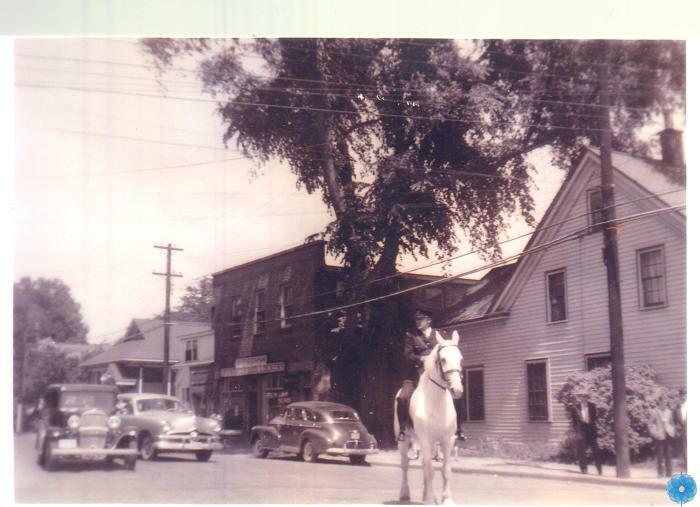 Narrative: Photo shows Red Archie MacGillivray (1894 - 1957), Town Police Officer on a white horse. To the background on the right is the Antigonish Frosted Food Lockers located on College Street. This business was operated in the post second world war period by Robert Donovan. Before freezers became commonplace, one could rent a drawer, or a larger freezer unit for storage of meat and other goods.